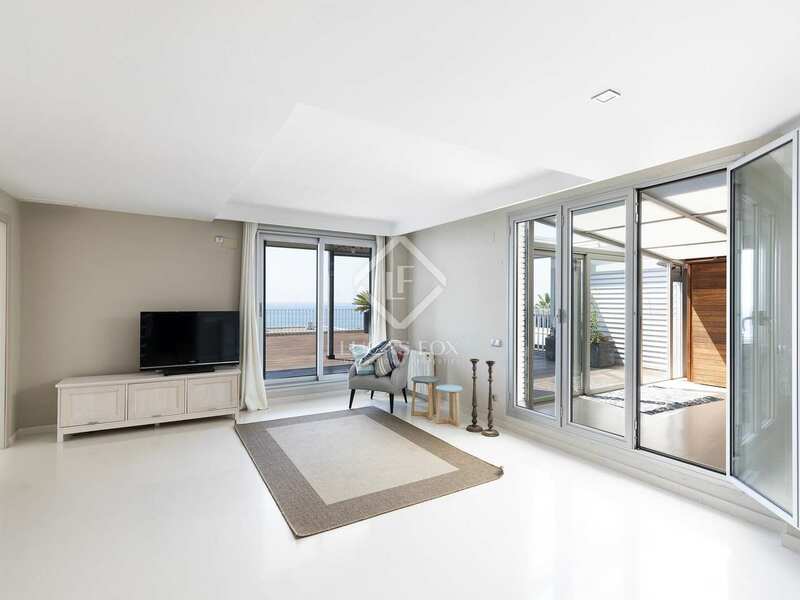 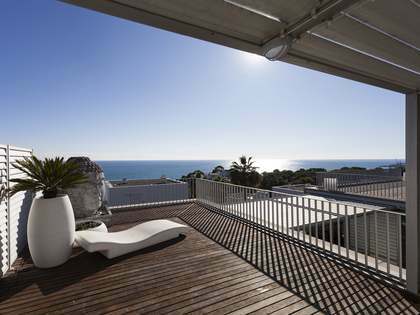 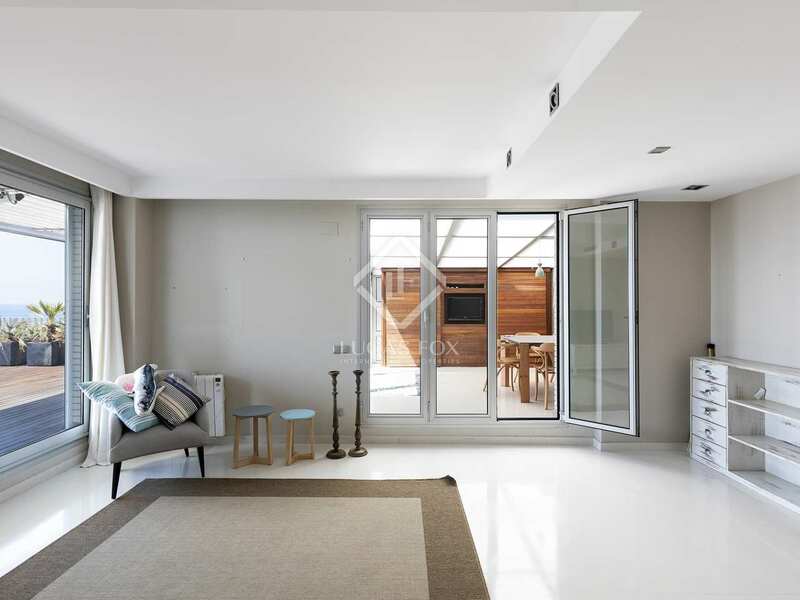 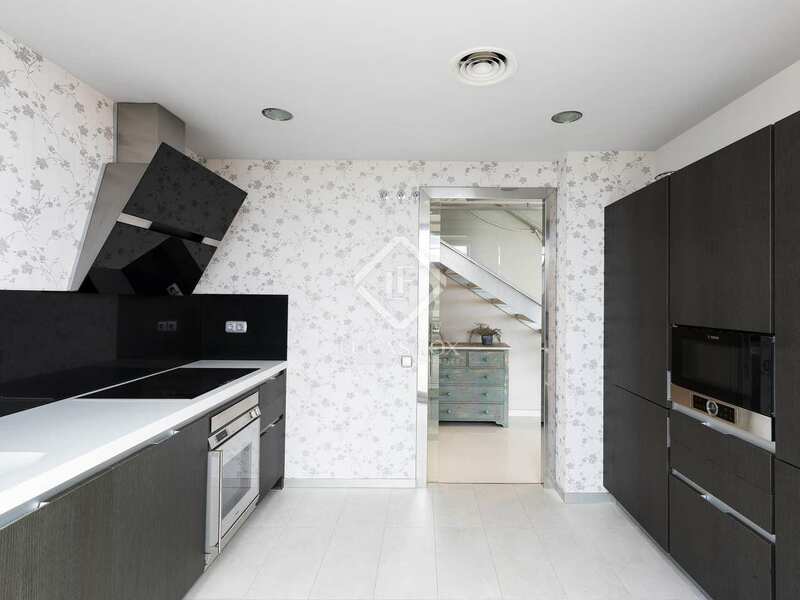 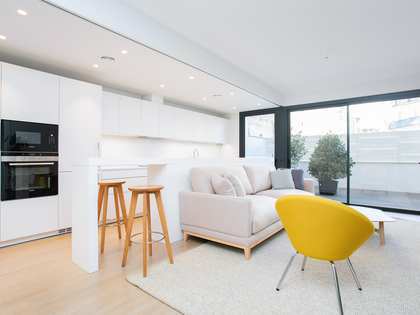 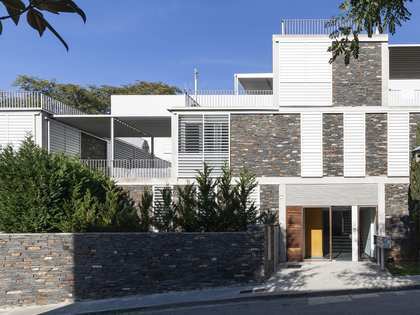 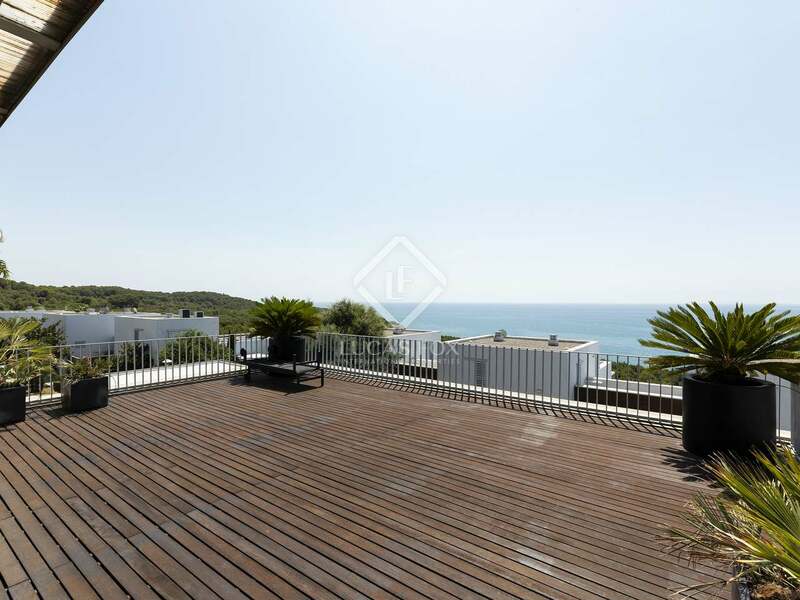 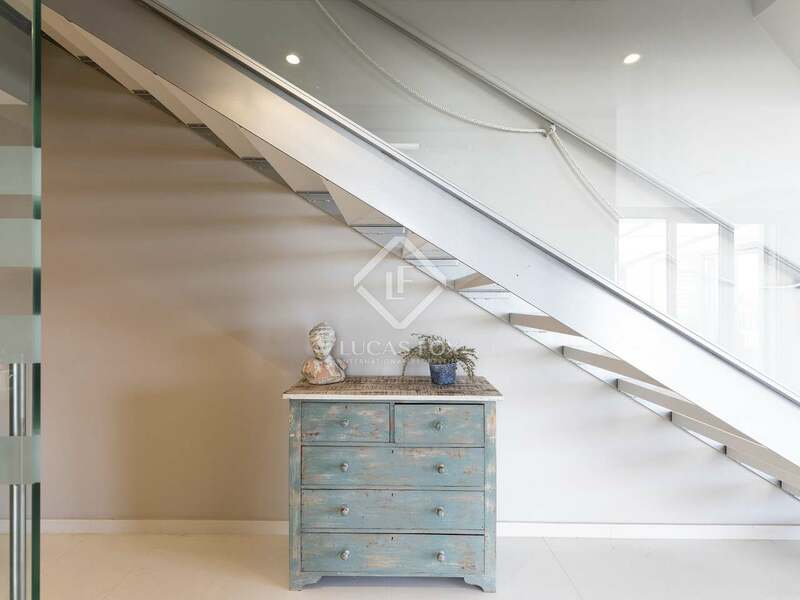 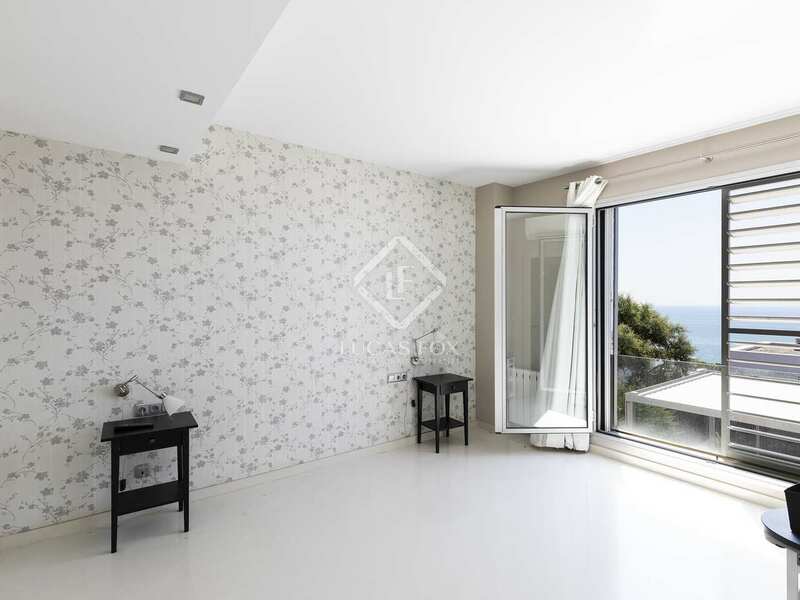 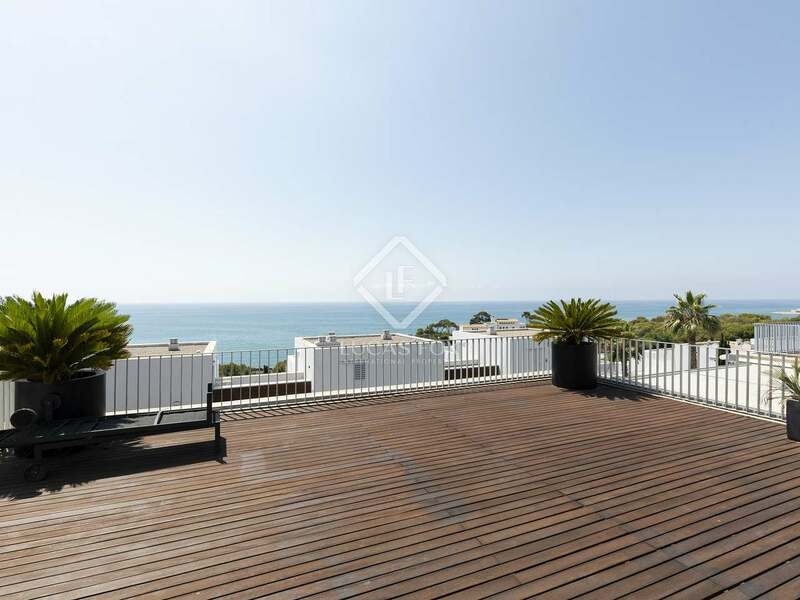 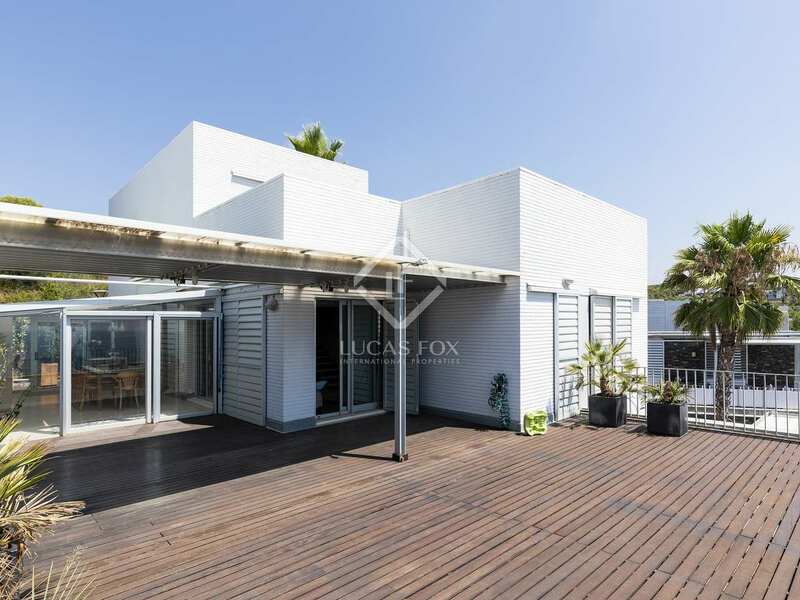 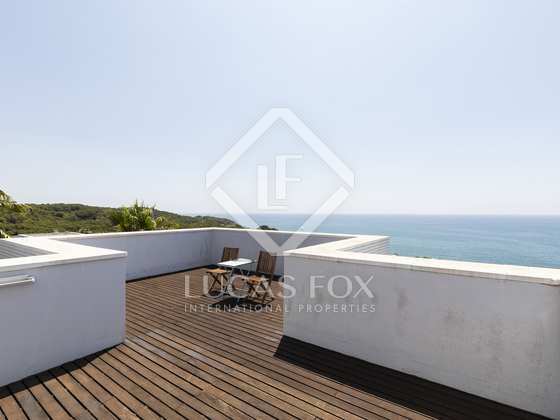 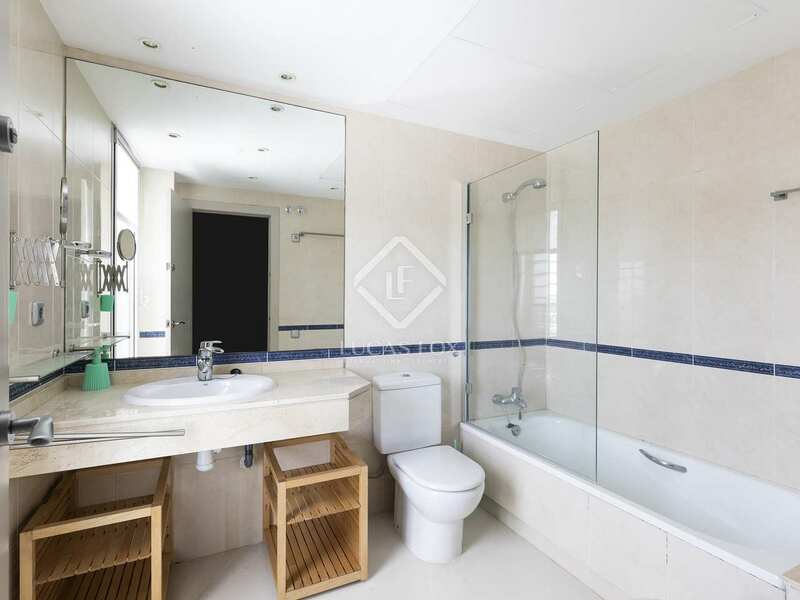 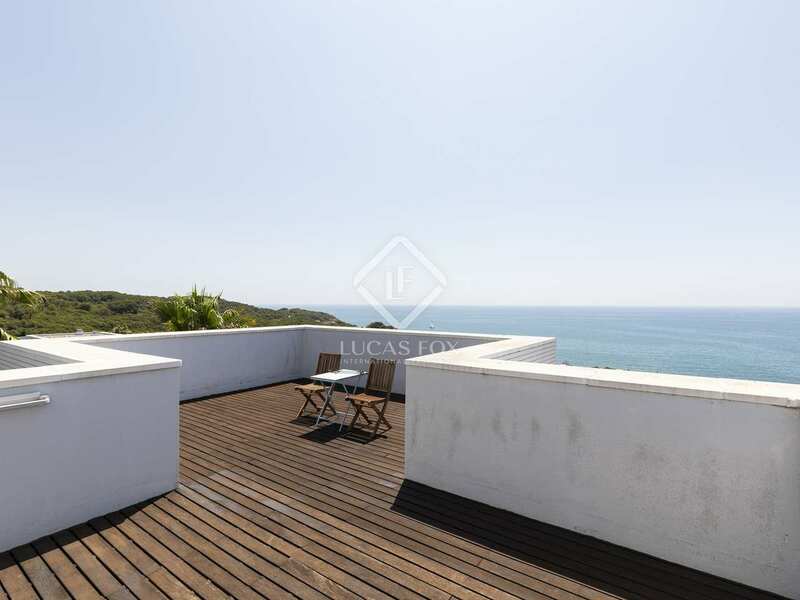 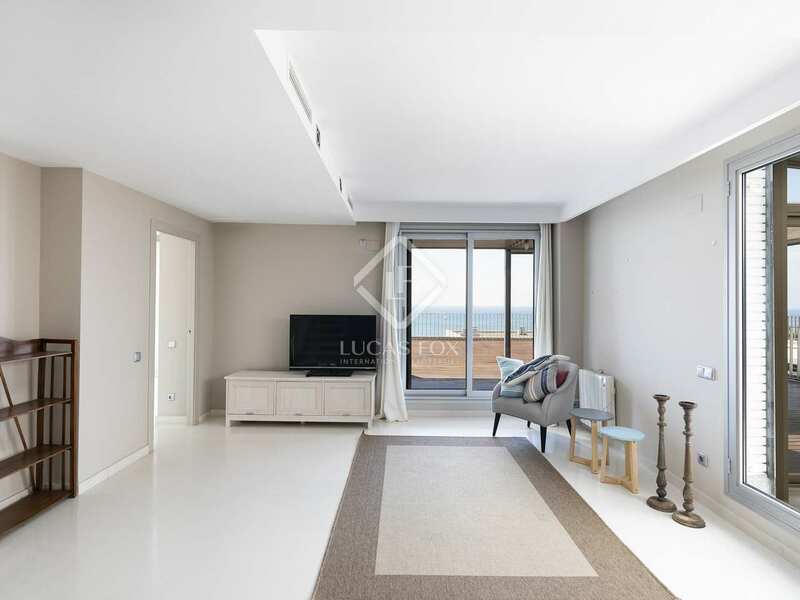 This superb, modern duplex penthouse is found in the Casas del Mar neighbourhood, near the beach and international schools and just 10 minutes by car from the centre of exciting Sitges. 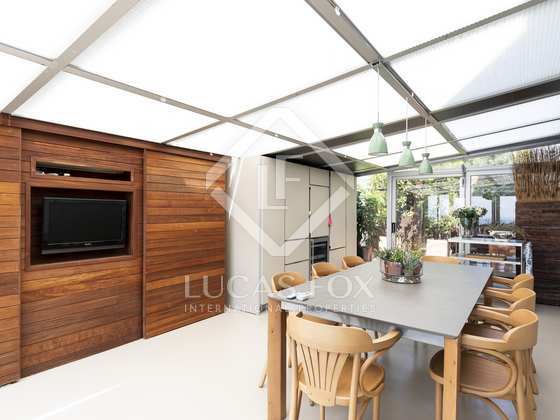 As well as private outdoor space, this property enjoys access to a wonderful communal garden with a swimming pool and children's play area. 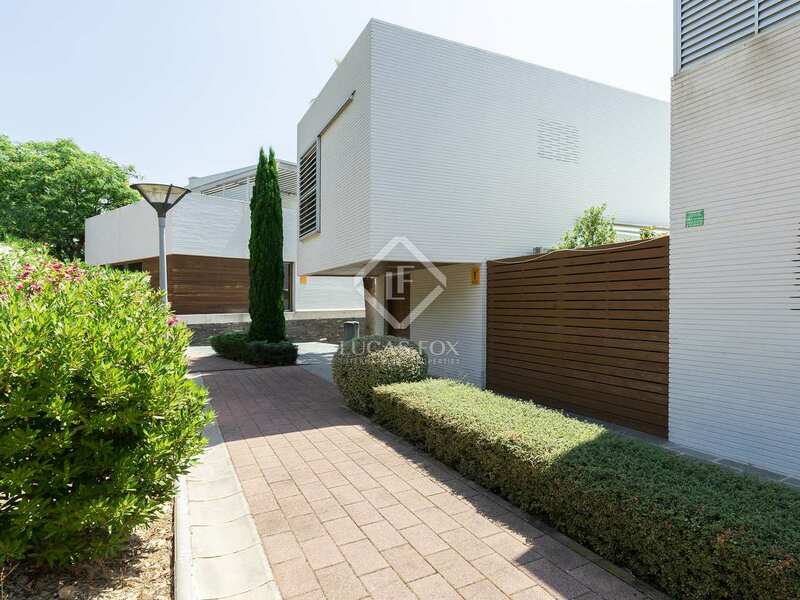 The community has a private entrance and benefits from 24-hour security surveillance. 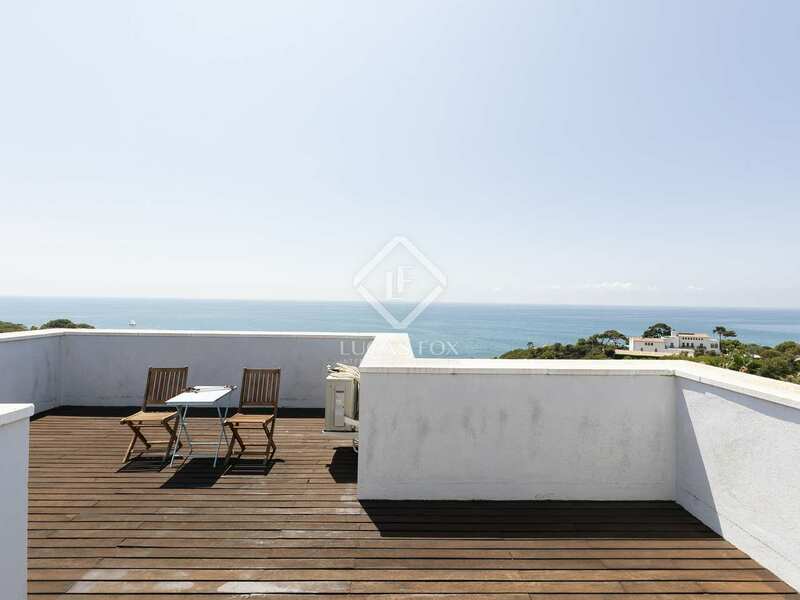 Presented in excellent, move-in condition, the property enjoys one of the largest terraces in the neighbourhood. 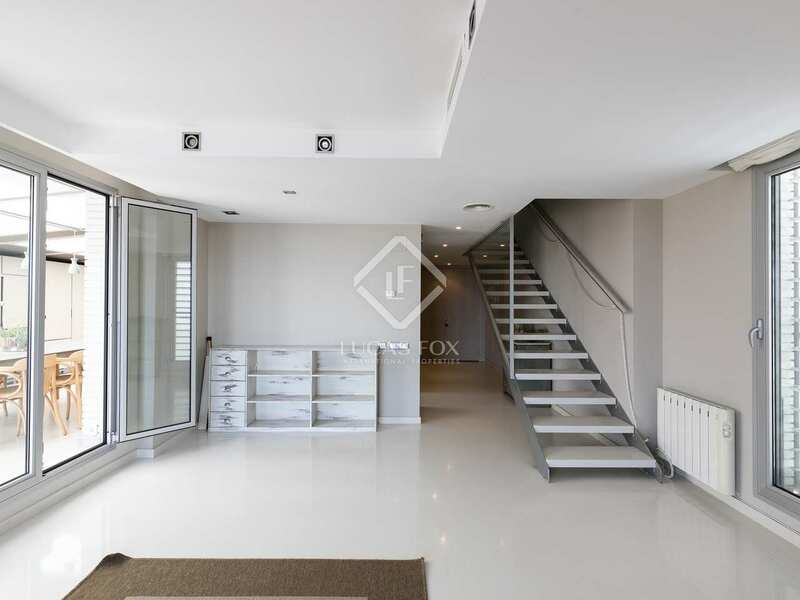 On entering we find a hallway on the right hand side leading to a toilet. 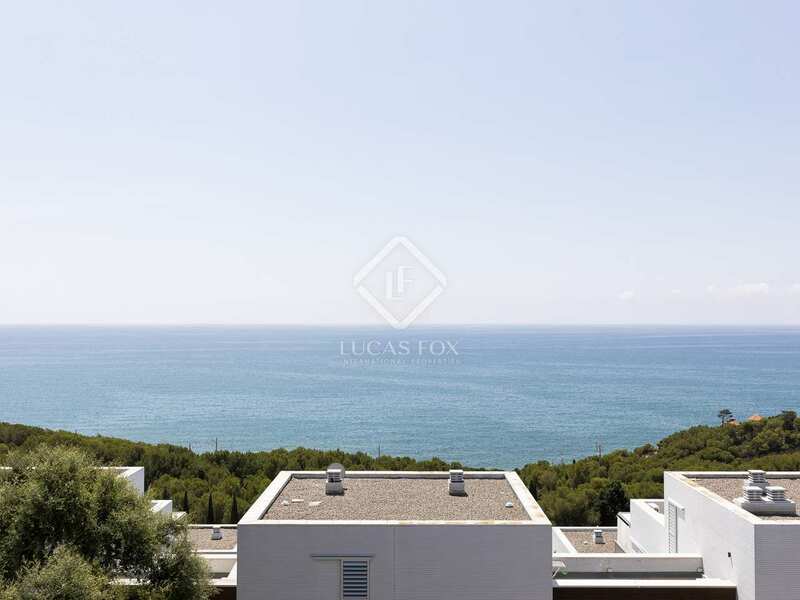 Straight ahead is the living room which leads out to the excellent 90 m² decked terrace with beautiful sea views. 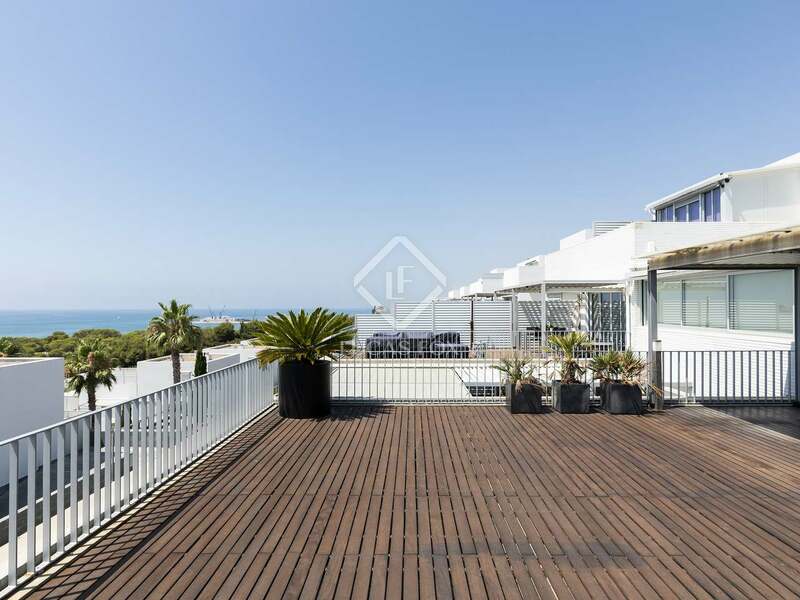 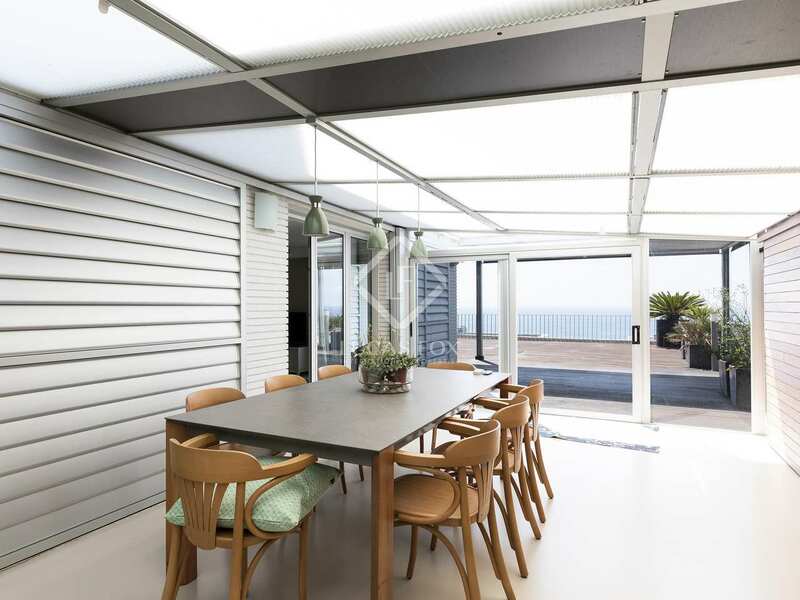 This terrace has the space and features necessary to create a great dining area under the shaded part and an area for sunbathing as well as a sea-view chill out zone. 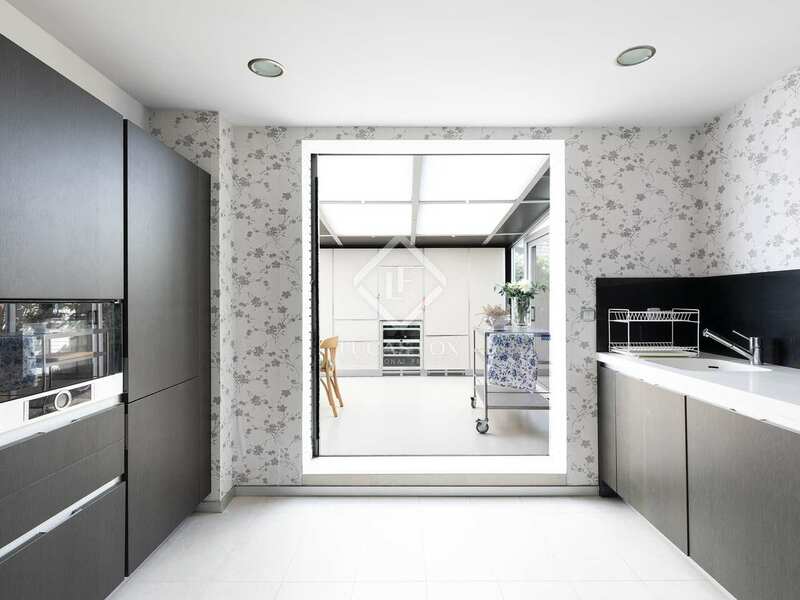 Further down to the right of the entrance is the kitchen, which can also be reached from the dining area. 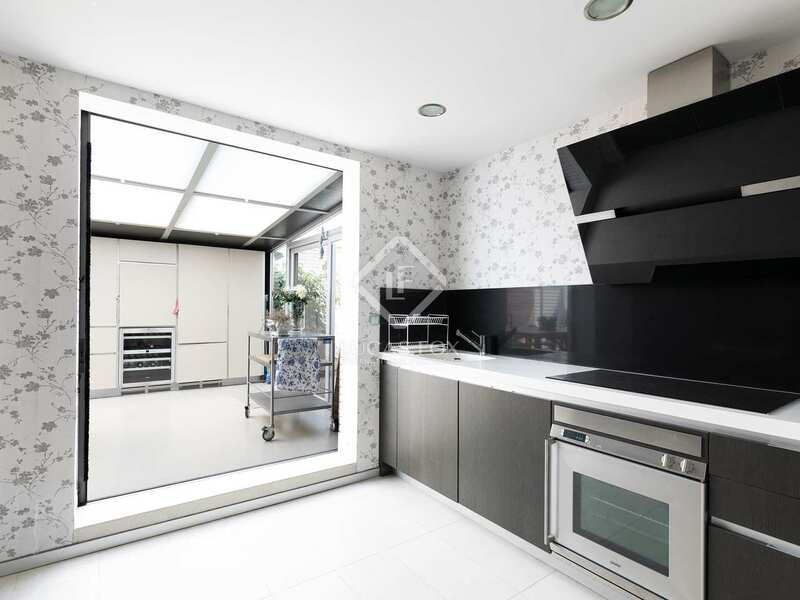 The kitchen is fully fitted and has a double design extractor fan. 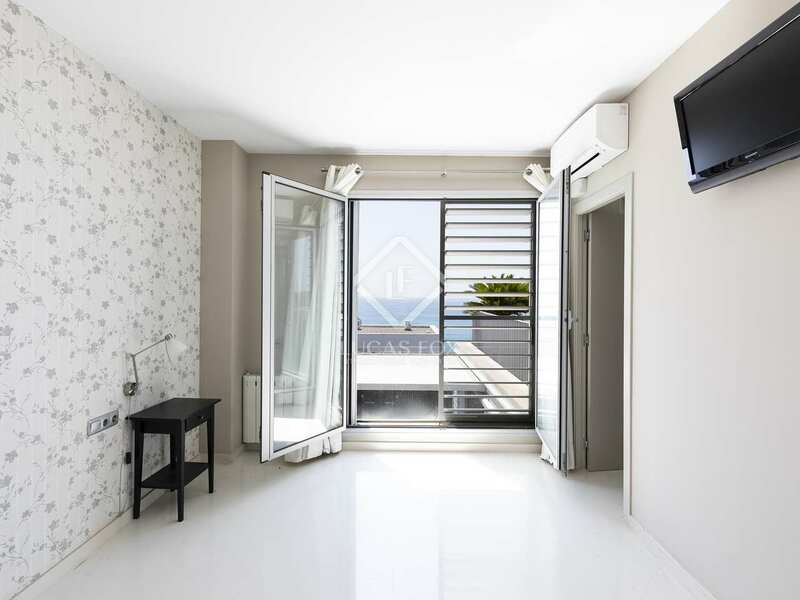 On the left hand side from the living room we find a double ensuite bedroom from which you can also access the terrace and enjoy the beautiful sea views. 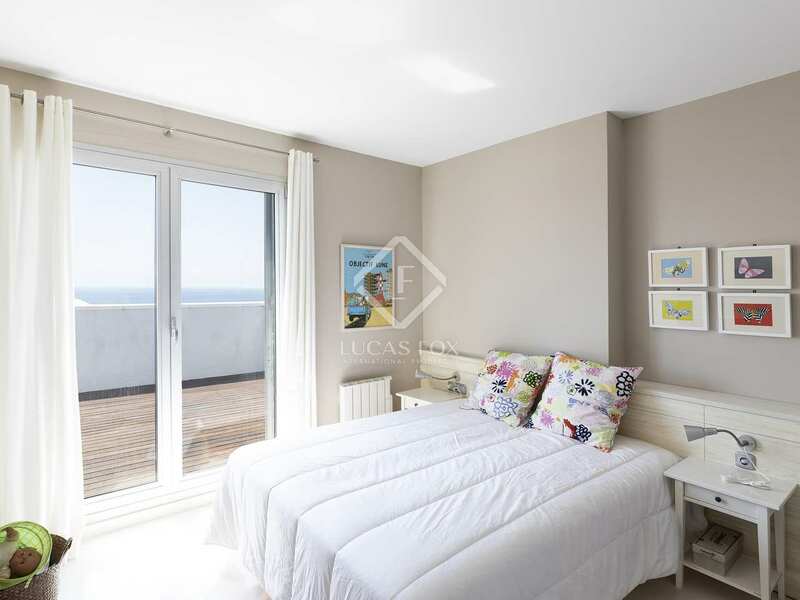 Upstairs we find 2 double bedrooms, one of which has its own terrace. 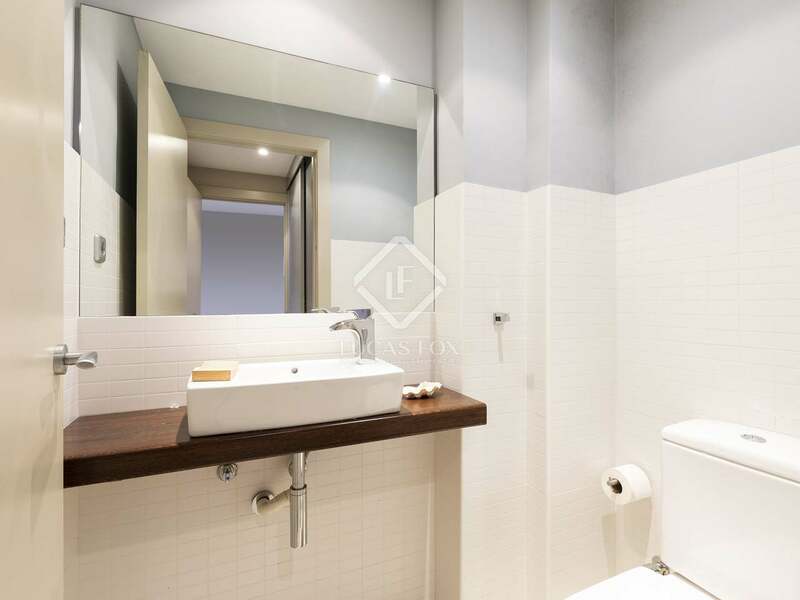 These 2 bedrooms share a bathroom. 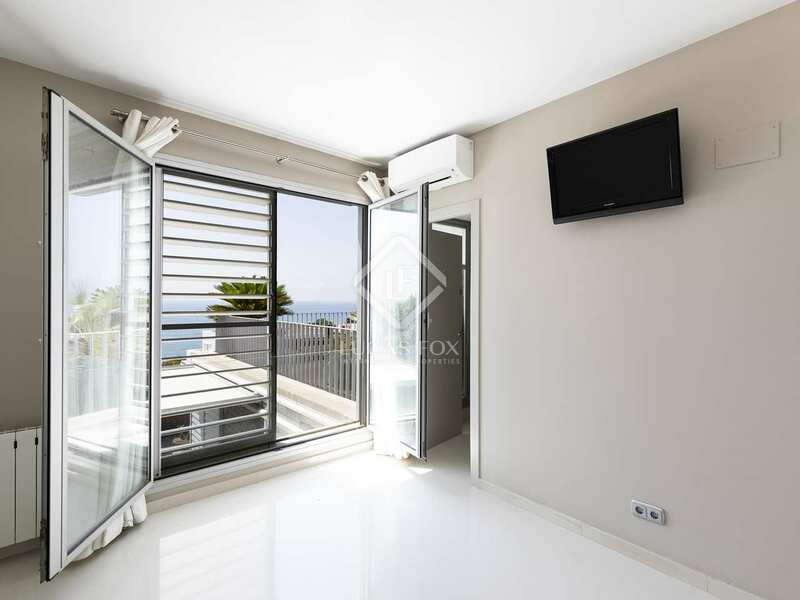 What's more, electric blinds, 2 large parking spaces and a storage room are included in the price. 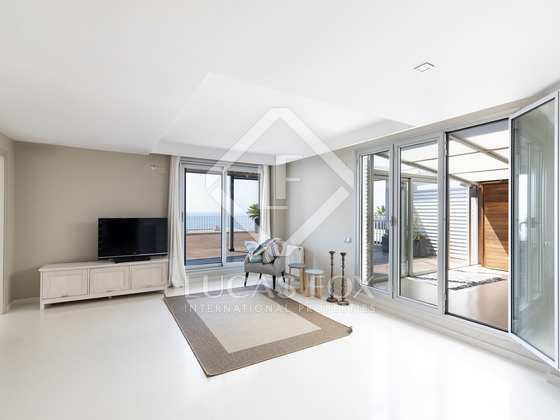 A great, modern property with unbeatable sea views. Ideal for families or investors as it would provide a fantastic long-term rental income. 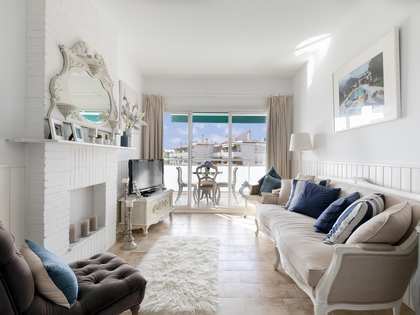 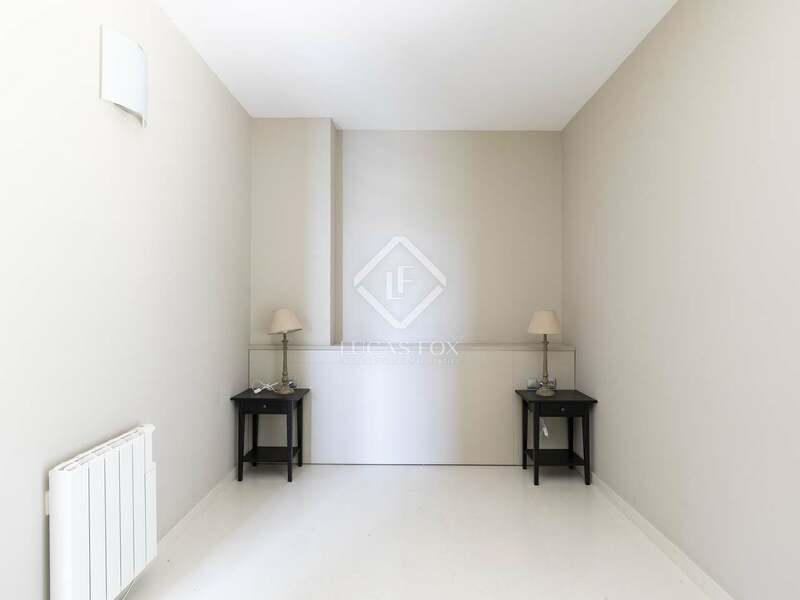 Property located in the Casas del Mar neighbourhood, near the beach and international schools and just 10 minutes by car from the centre of exciting Sitges. 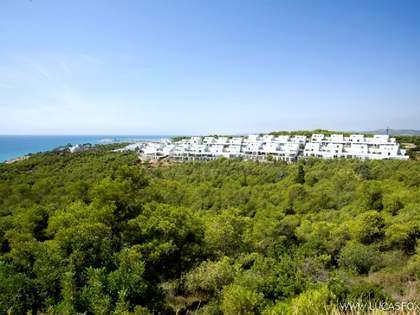 It is also just a 10-minute drive from Vilanova I la Geltrú and 20 minutes from the airport.